This blog is a Project of Space Renaissance Education Chapter and put together as a tribute to the late Venetia Burney Phair, whose story is an inspiration to young students. 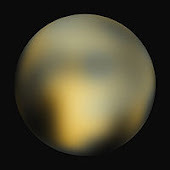 A special thank you goes to the director of Naming Pluto – Ginita Jimenez who contributed in many ways to this blog and to the competition Naming X. The blog is maintained by Chairman of the Space Renaissance Education Chapter - Thilina Heenatigala.